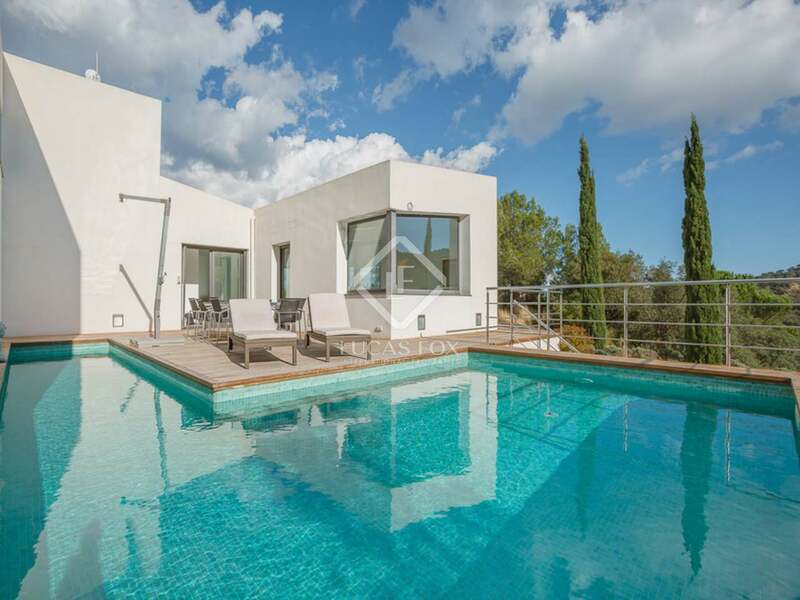 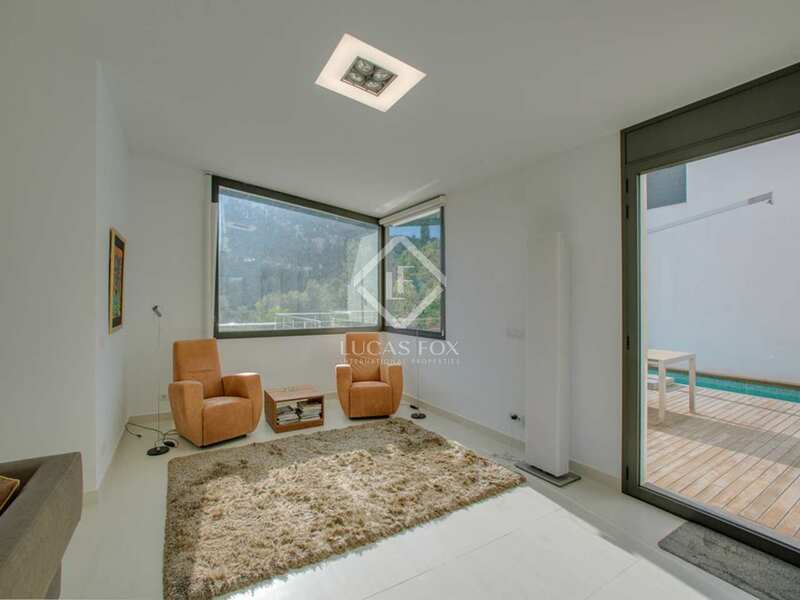 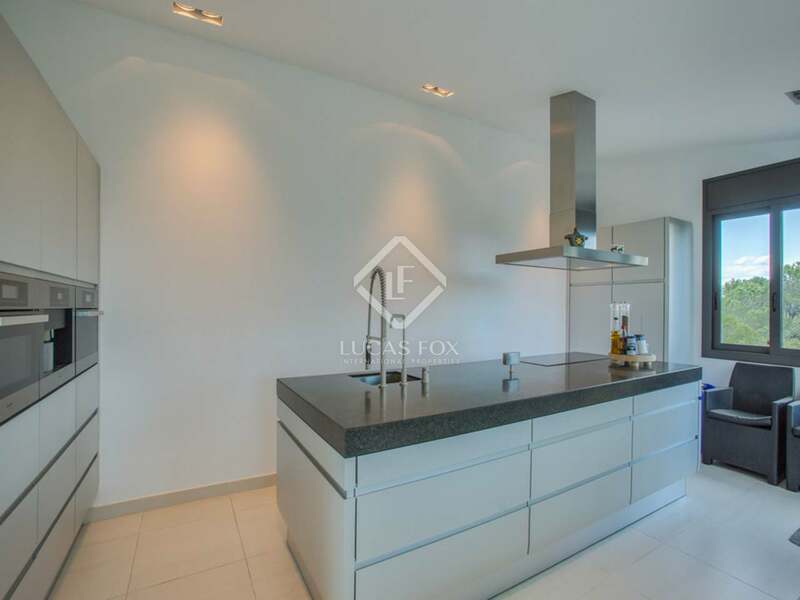 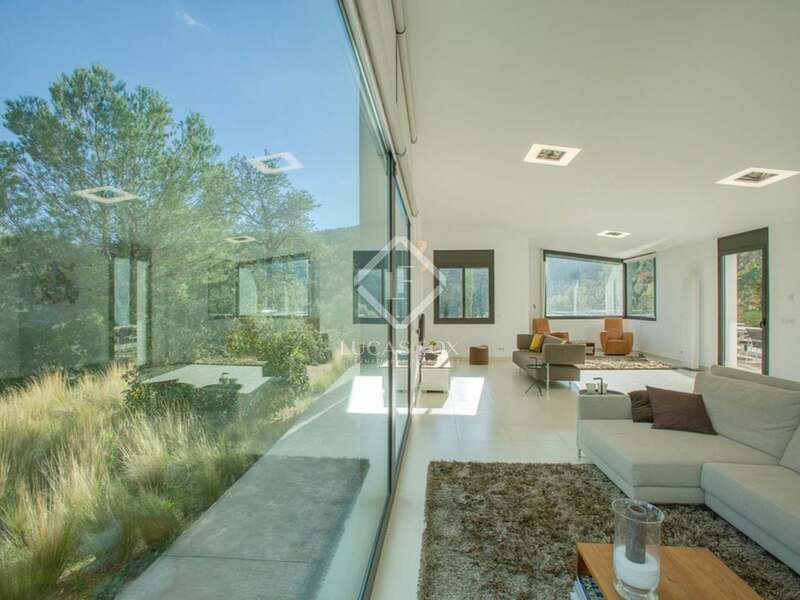 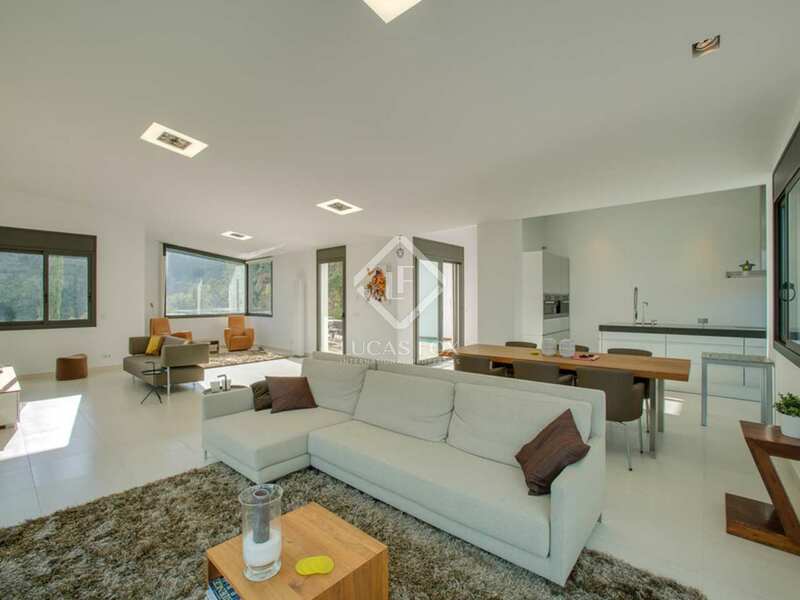 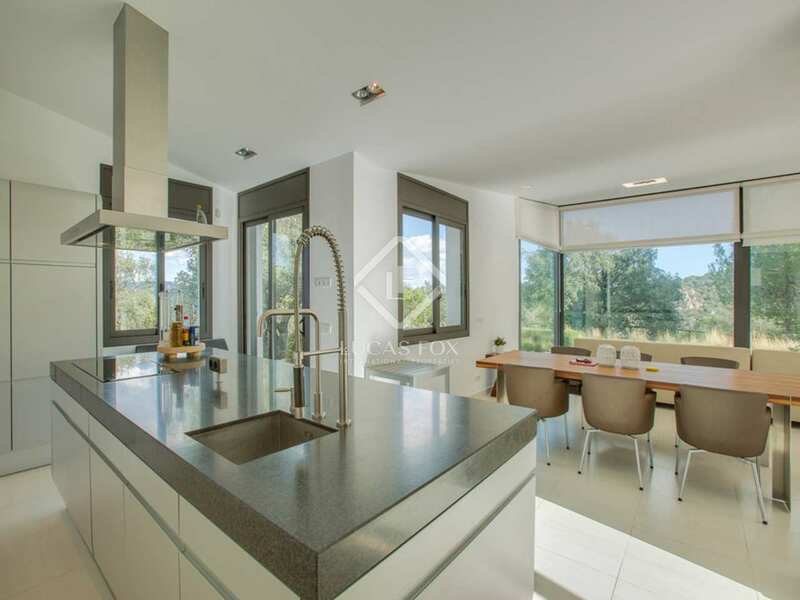 Sunny, modern design villa in the Golf Santa Cristina residential area of Santa Cristina d'Aro. 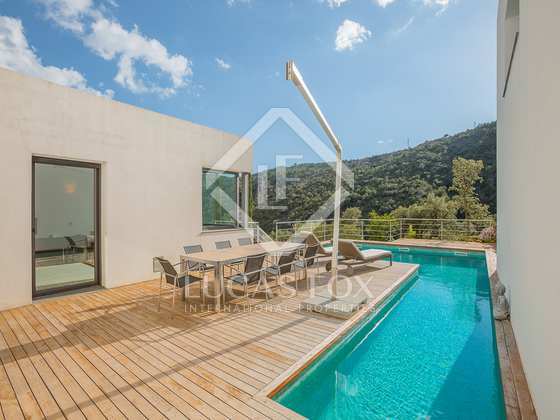 This luxury Costa Brava villa for sale is located in an exclusive Costa Brava residential estate in Santa Cristina d'Aro. It is a mere 5-minute drive away from the charming centre of Santa Cristina and 10 km from some of the loveliest beaches on the Costa Brava. 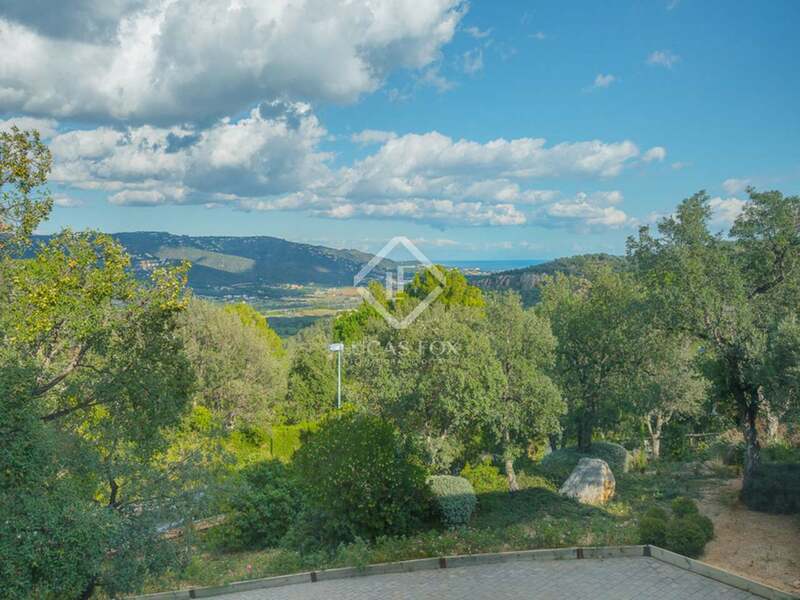 The villa was built in 2009, enjoys sea and mountain views and does not require any renovation. 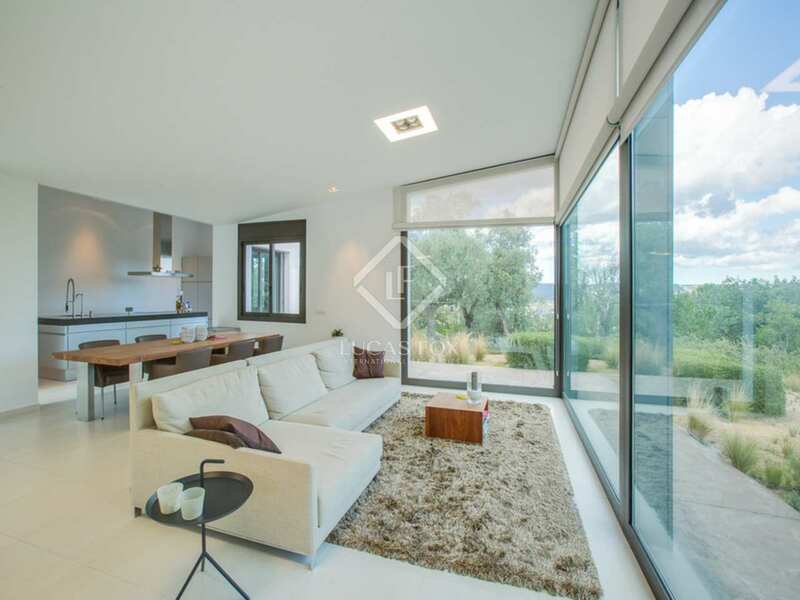 It provides a living room – dining room, fully equipped kitchen and a bathroom on the ground floor. 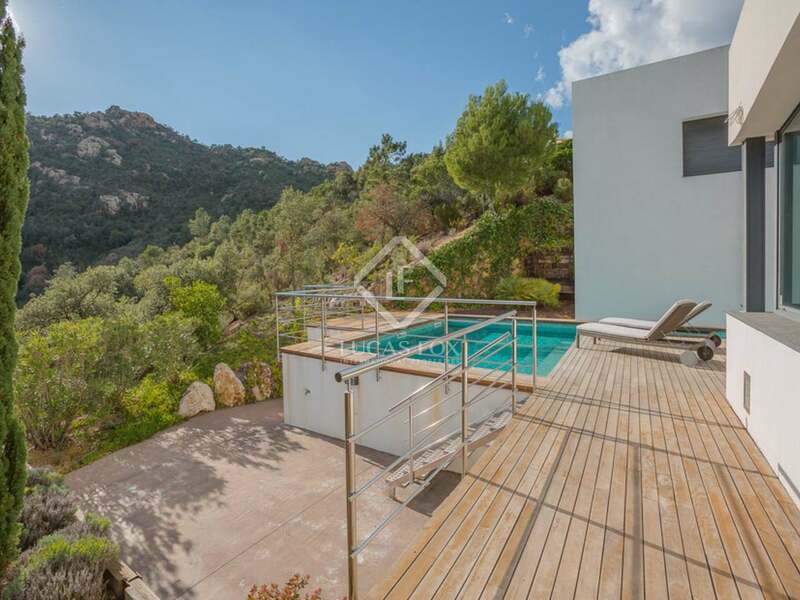 From this level we can access the 3,181 m² plot which is low maintenance and offers plenty of privacy and solar panels for heating the water. 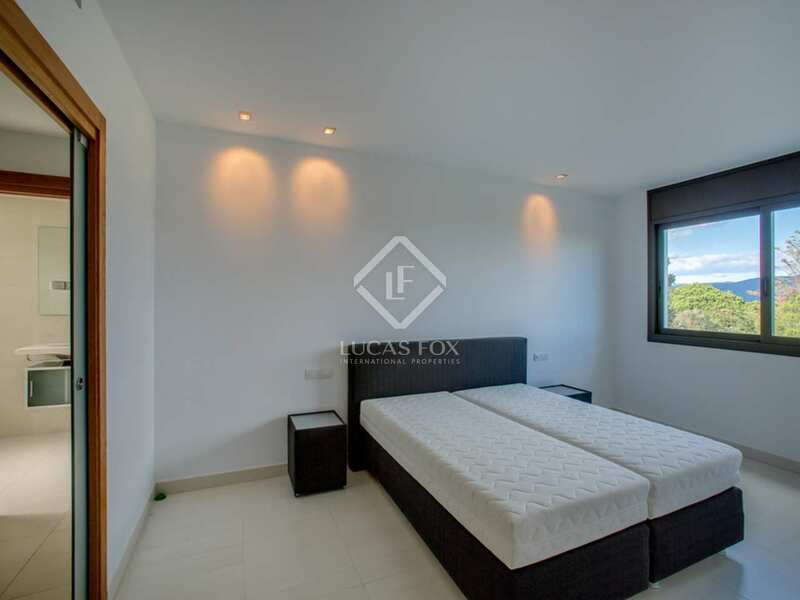 Upstairs we find the 4 bedrooms, one of which is the master suite with its own dressing room and bathroom and another which is currently used as a study. 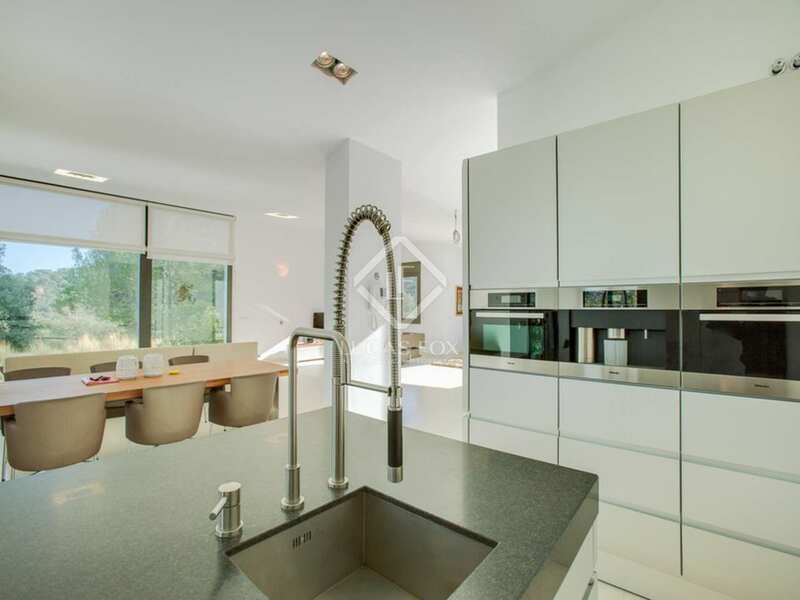 There are 2 other bathrooms on this level. 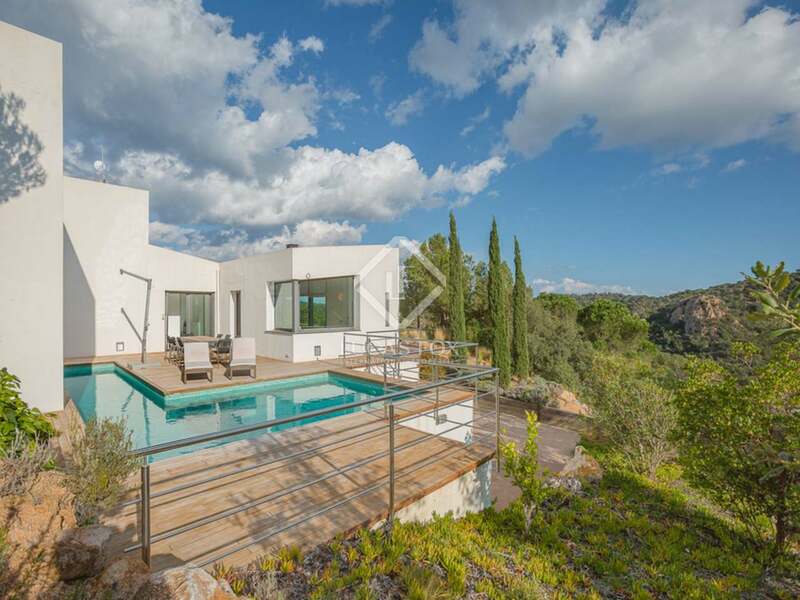 Extra features at this private villa include the salt water pool, alarm with cameras and movement sensors, under floor heating, air conditioning, a rain water tank and electric blinds. 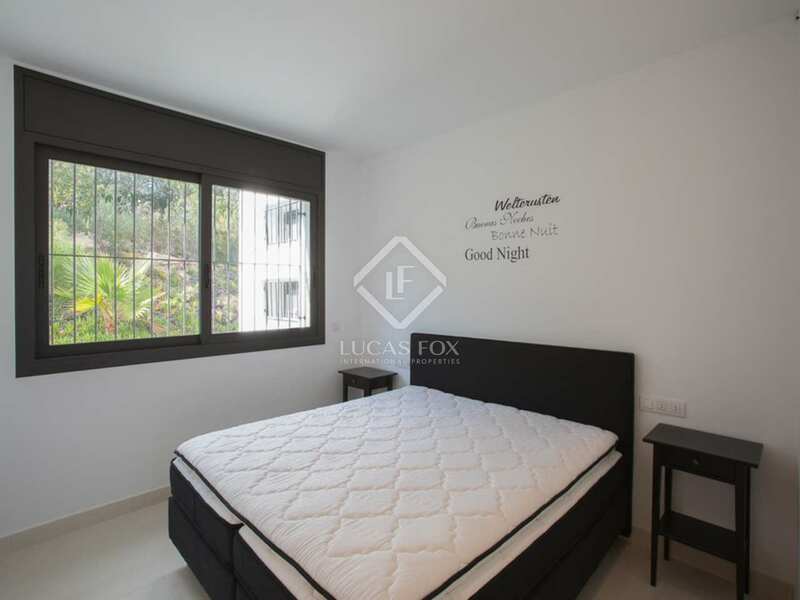 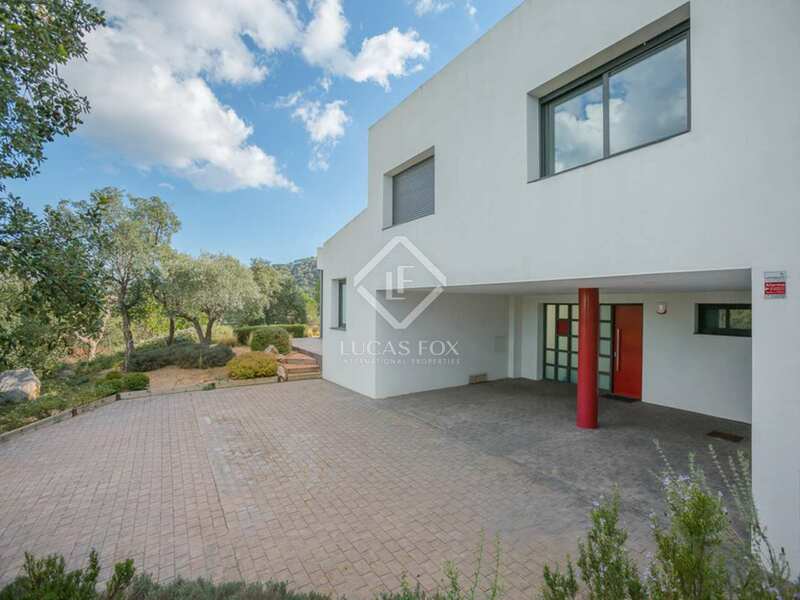 This luxury villa is listed exclusively with Lucas Fox. 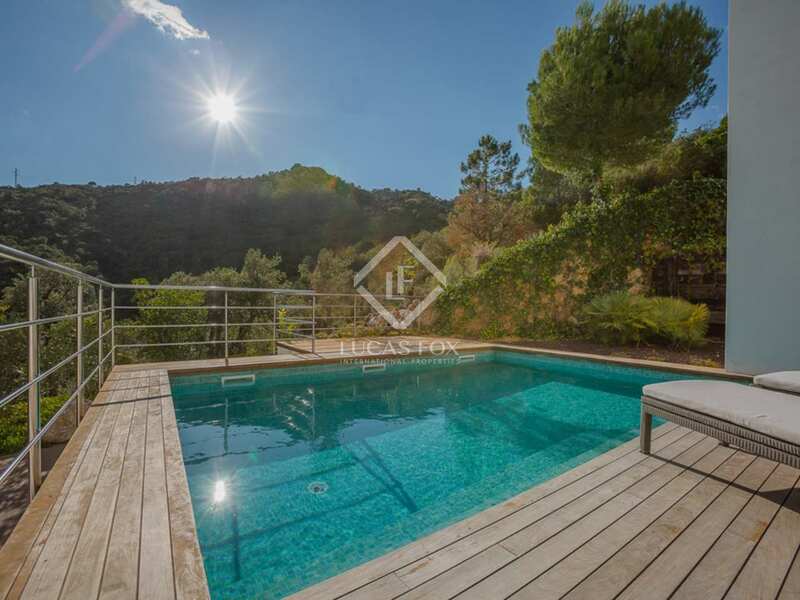 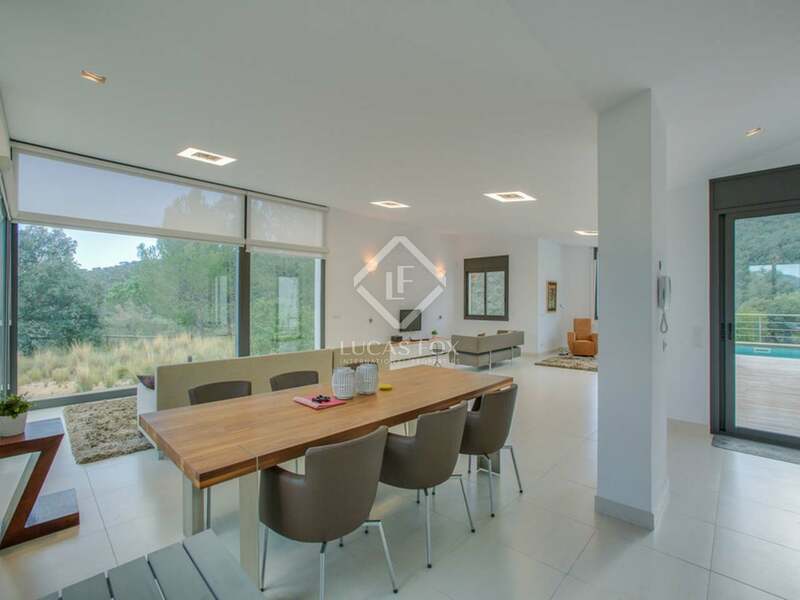 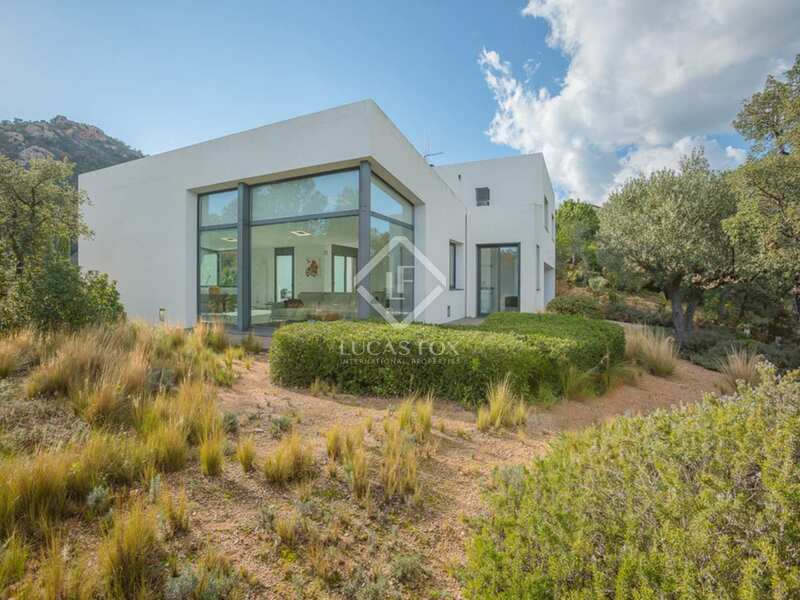 This luxury Costa Brava house for sale is located in the exclusive Golf Costa Brava residential estate in Santa Cristina d'Aro. 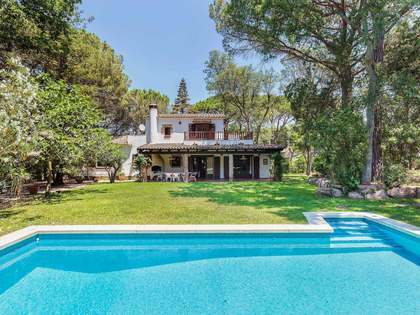 The house is a 10 minute walk from the clubhouse and a 5 minute drive from the town of Santa Cristina d'Aro and the nearest banks, supermarkets, shops and cafés. 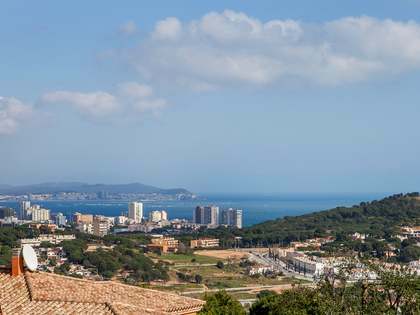 The beaches of the Costa Brava are close by with Sant Feliu de Guíxols just 10km from the property, S'Agaró 10km away and the lively coastal town of Playa de Aro 10km away. 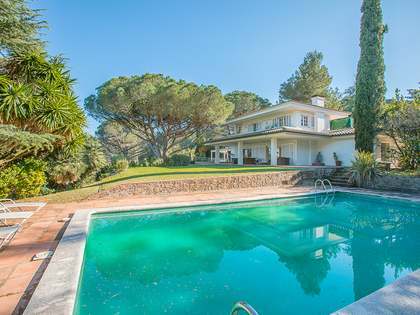 Girona airport is just 30km away and Barcelona is only 100km from the property.